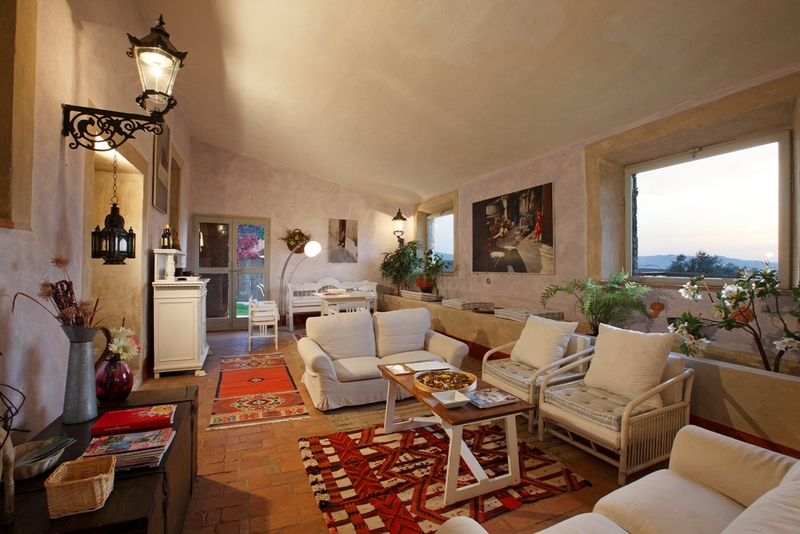 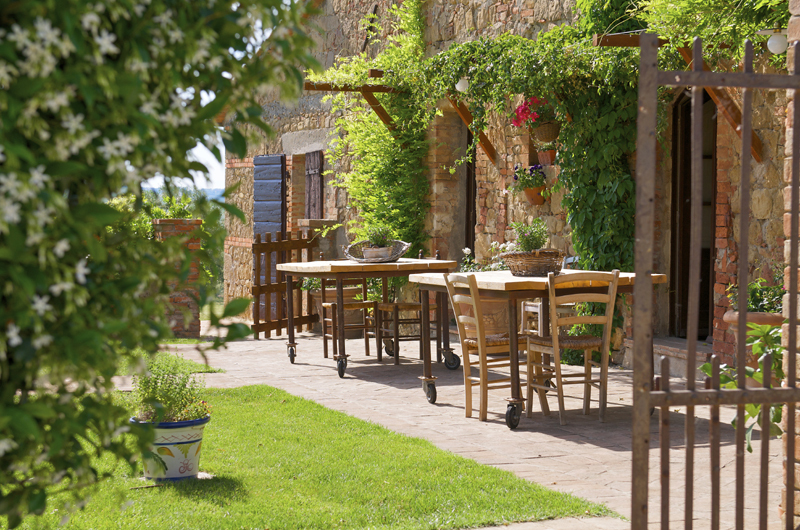 Idyllic Tuscan villa with a designer’s touch. 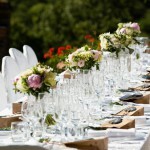 Perfect for intimate weddings for 25 to 30 people indoor or up to 60 outdoor in a marquee. 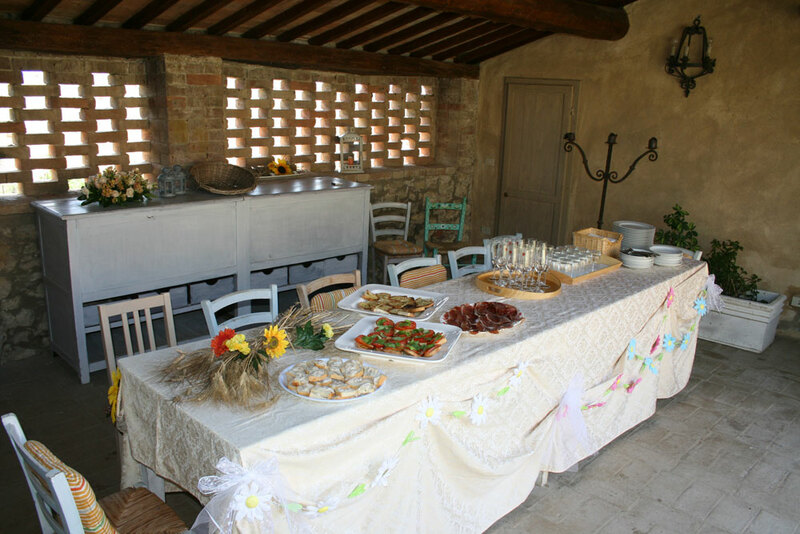 the wedding reception can be held outdoors in the charming courtyard with drinks by the pool or indoors in the dining room or in the lounge. 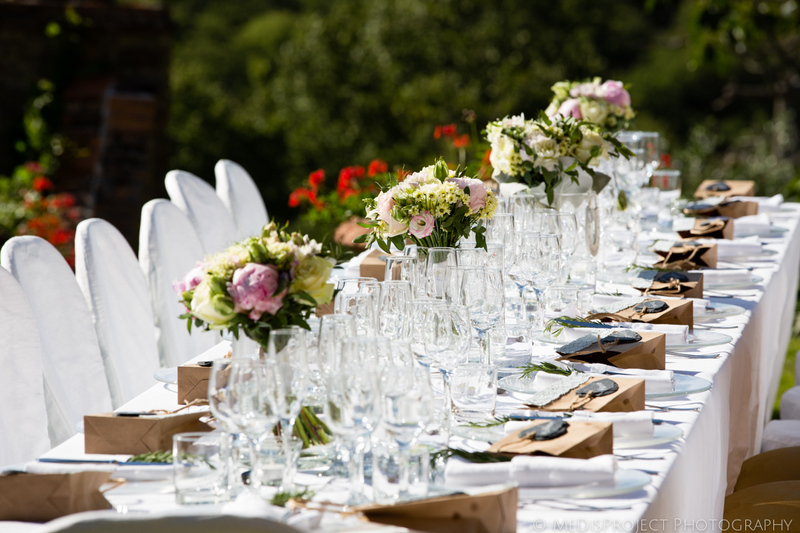 Reception up to 30 indoor and up to 60 outdoor in a marquee. 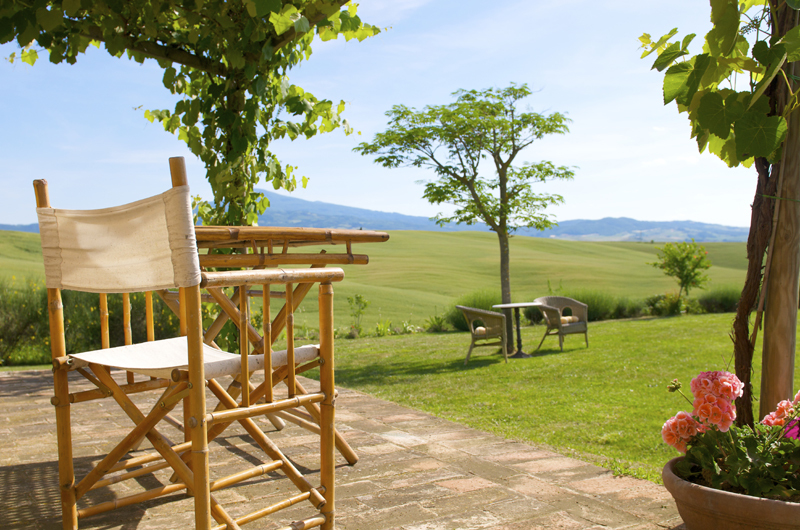 Elegantly furnished living areas open out to the yard for dining al fresco and to stunning views over the valley. 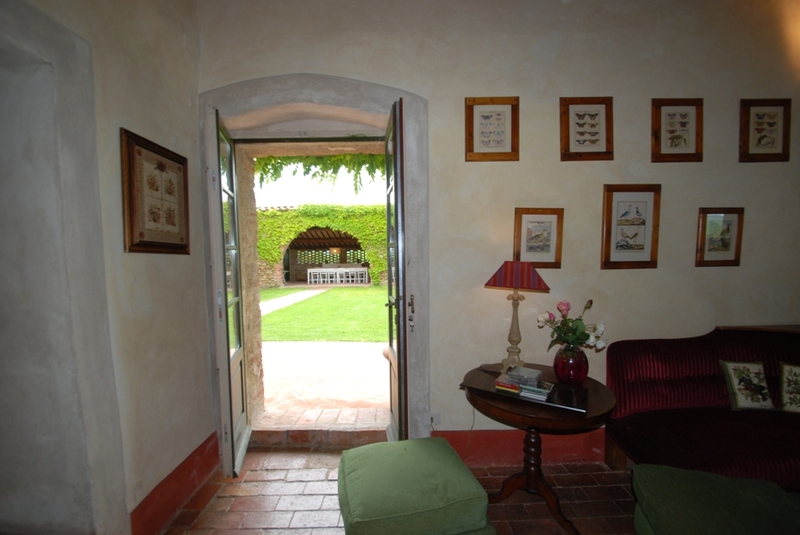 The yard has climbing rose bushes and a covered loggia. 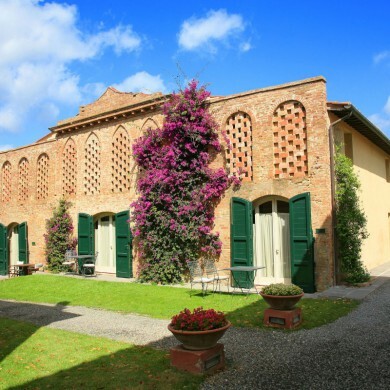 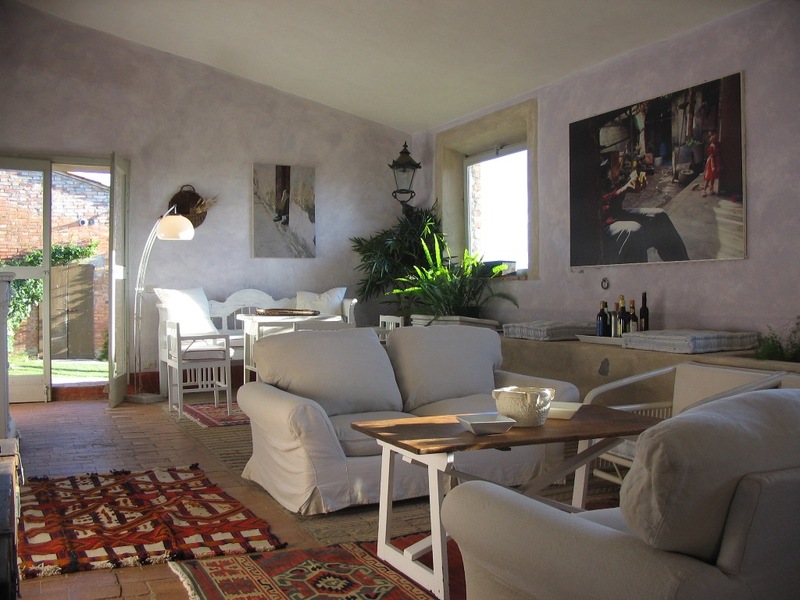 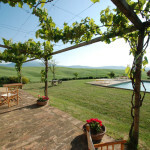 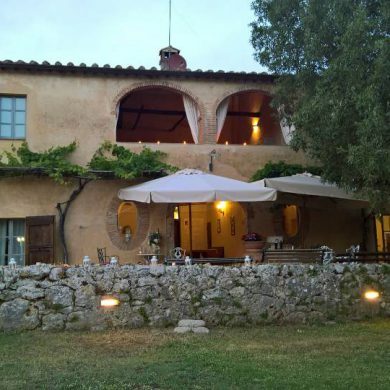 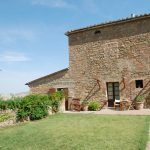 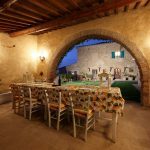 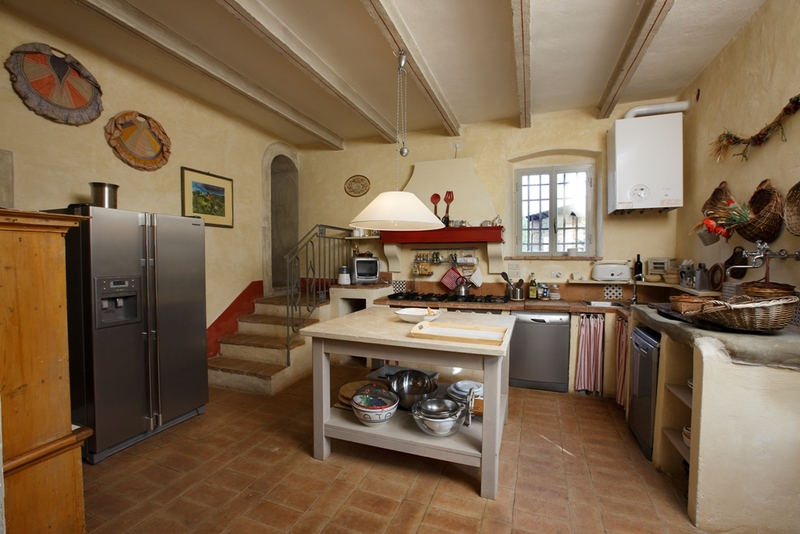 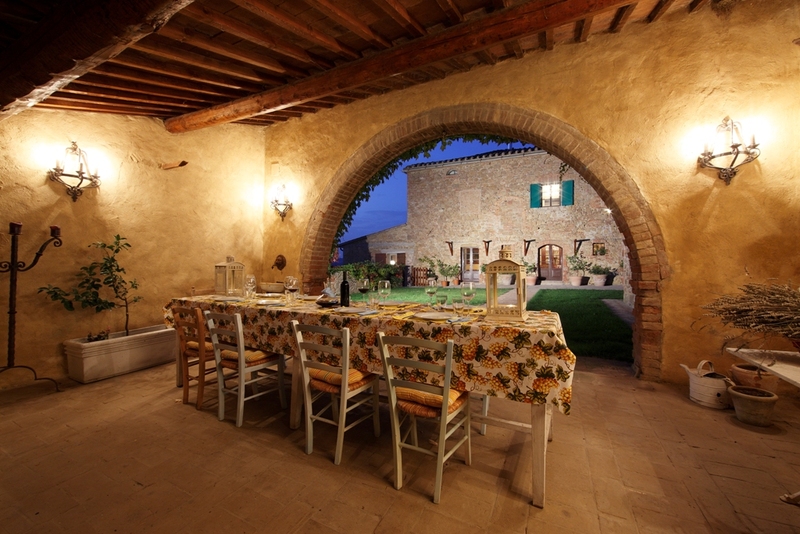 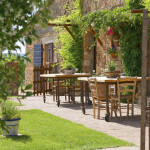 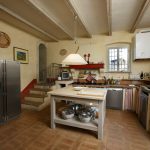 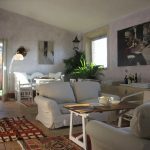 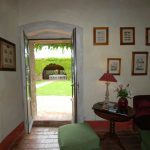 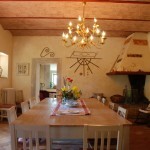 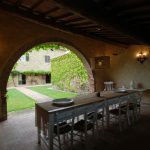 The villa is surrounded by unspoilt countryside in the heart of the ‘Crete Senese’ the best of the Sienese countryside. 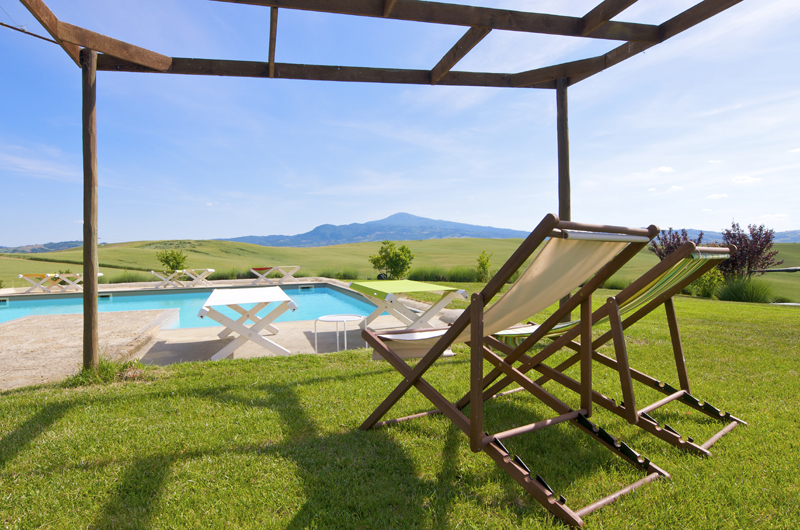 The large pool is set in a very panoramic position and is the ideal spot to relax. 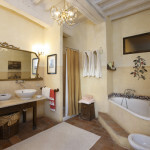 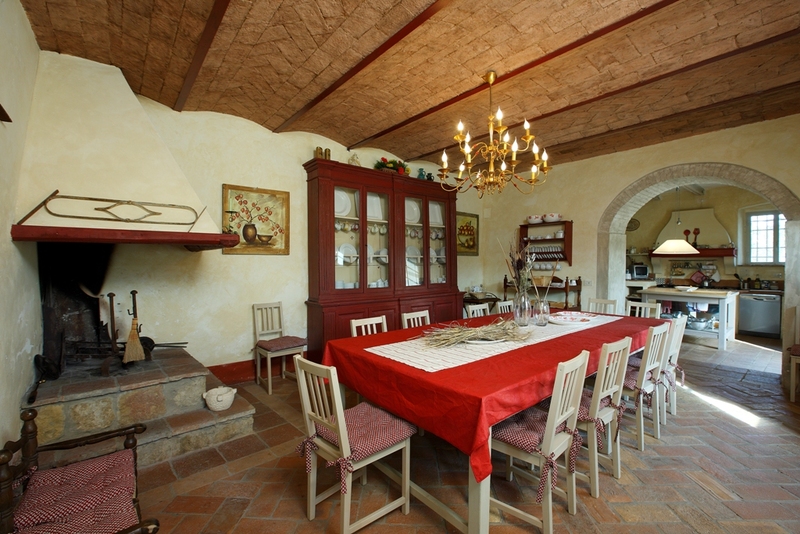 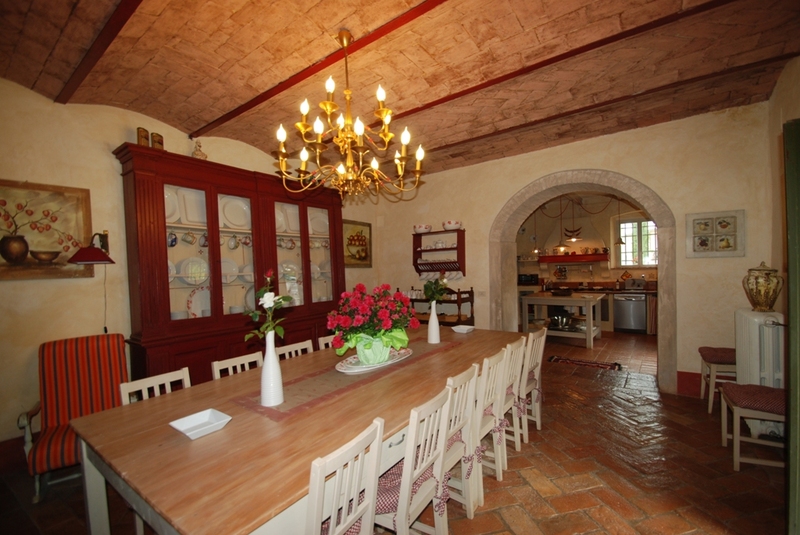 The villa sleeps 12 to 16 people (8 bedrooms and 7 bathrooms most of which have Jacuzzi). 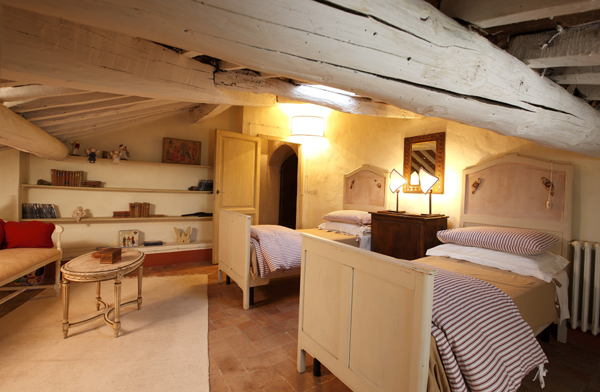 The high quality interiors include mainly antique furniture very skilfully combined with designer’s touch. 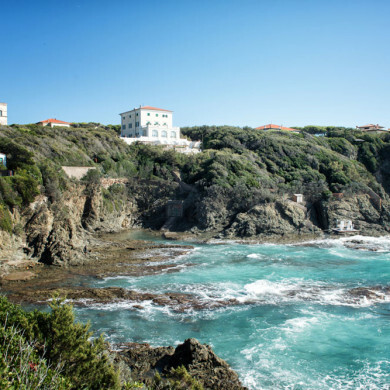 Nearby the villa there are beautiful walking and biking paths. 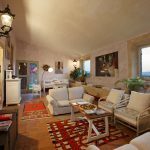 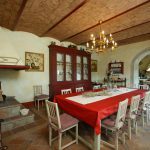 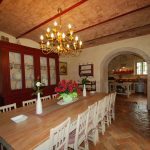 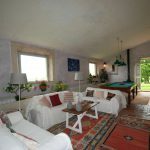 In a separate little cottage there is also a small gym to work out and a hot-tub Jacuzzi (2×2 m) for 4-5 people with breath-taking views of the countryside. 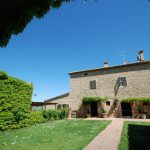 On the ground floor: spacious fully equipped kitchen with washing machine, dishwasher, cooker and large fridge with freezer, there is a bath with tub , living room with satellite Tv and a beautiful winter garden room, a pool table an three windows with an excellent views across the valley. 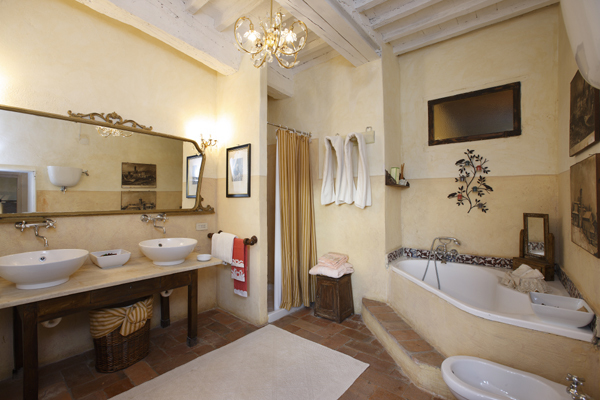 On the first level: a study, another kitchen and 4 bedrooms with en-suite bathrooms. 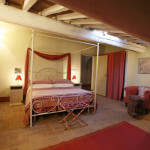 On the second level there are 2 bedrooms with 4 single beds and 1 bathroom on the hallway. 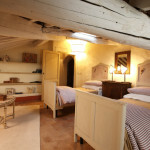 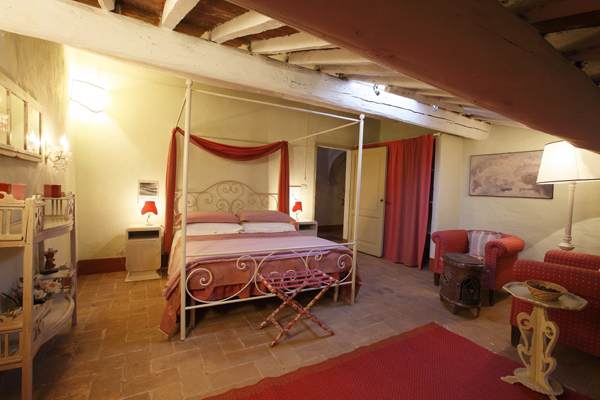 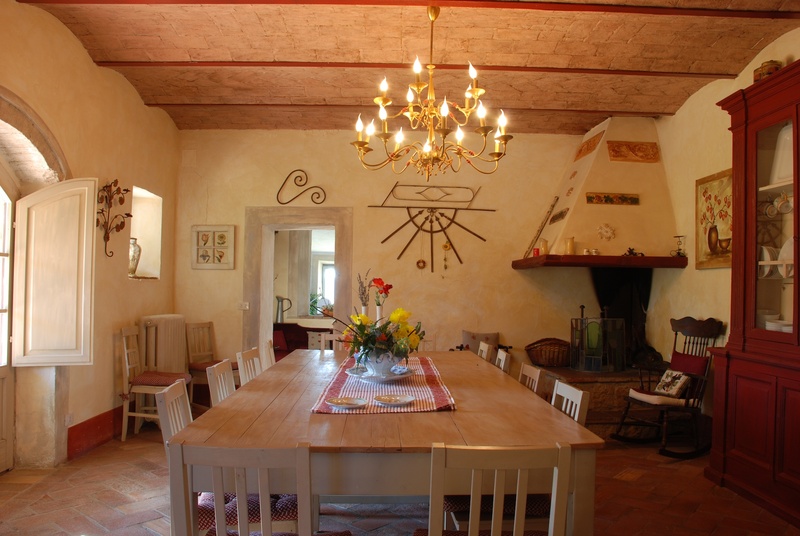 In a little cottage adjacent to the main house: Two double bedrooms with private bathrooms with shower. 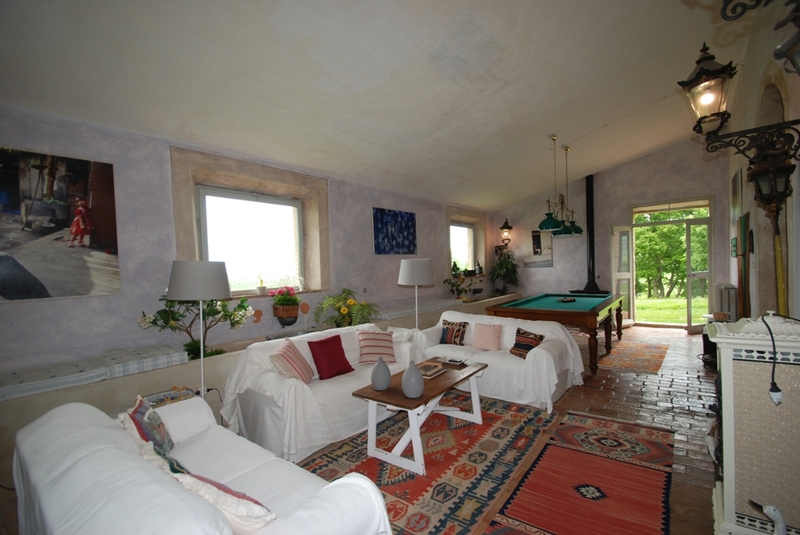 In the little cottage there is also Jacuzzi hot tub for 4-5 people ( 2x 2) (heated and available in winter too) and a gymnasium to work out. 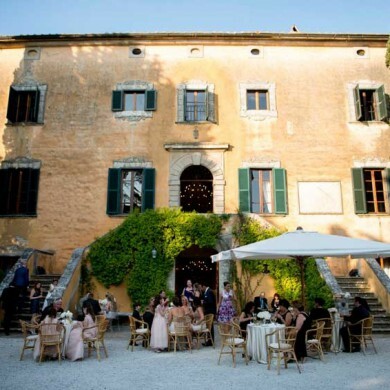 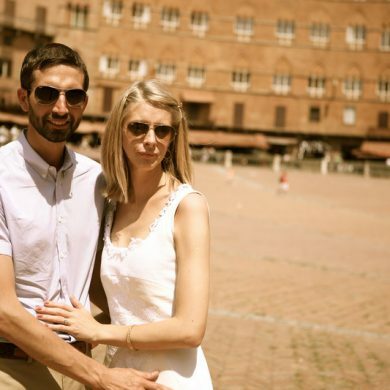 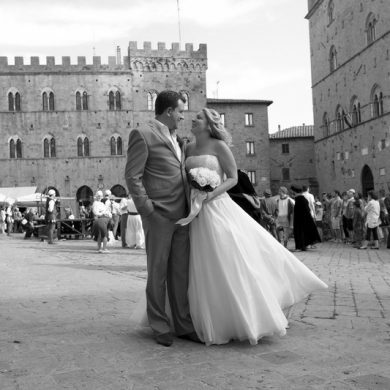 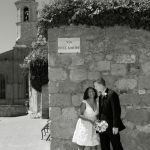 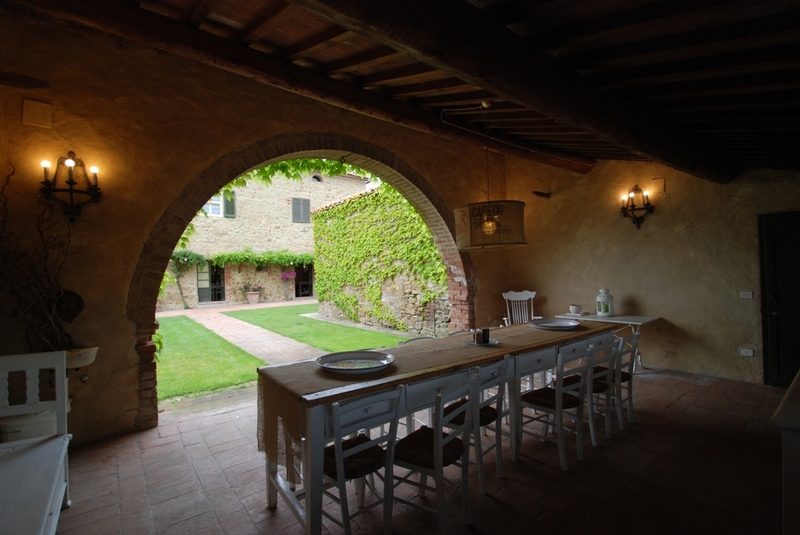 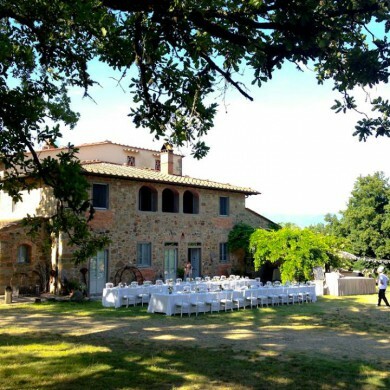 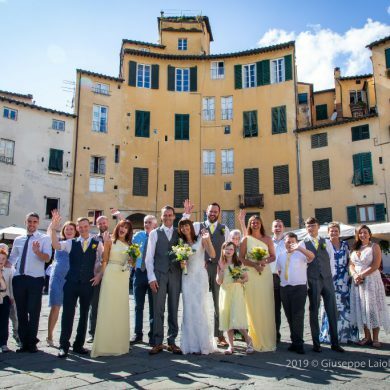 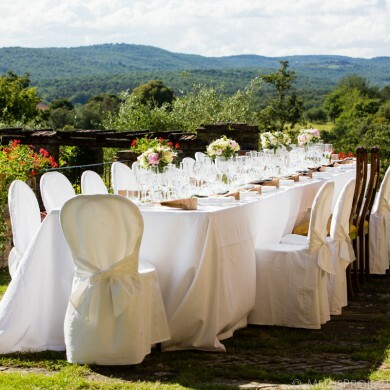 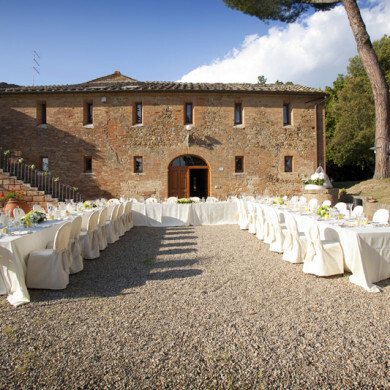 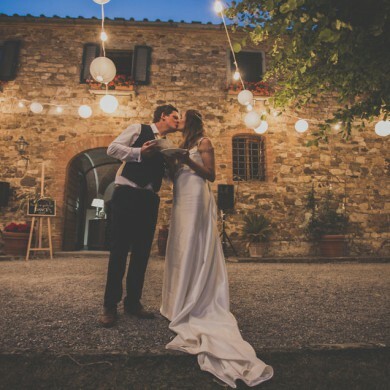 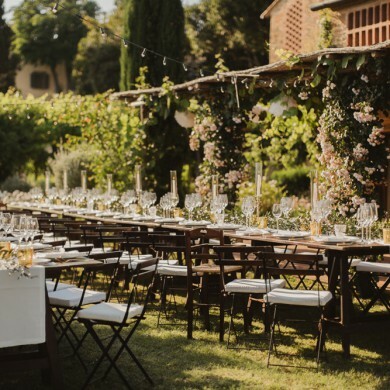 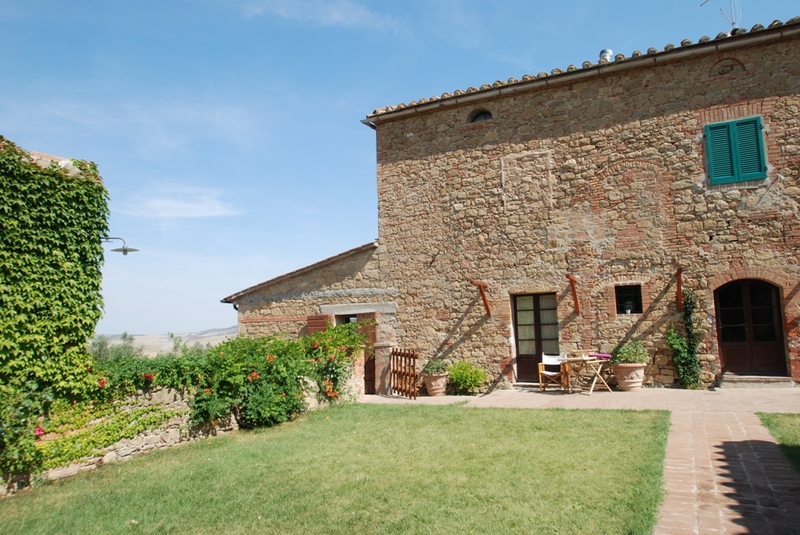 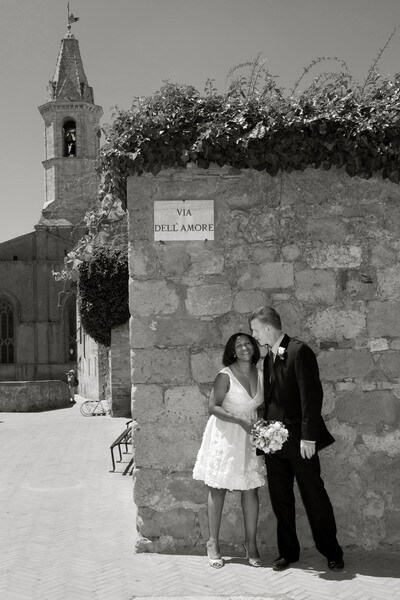 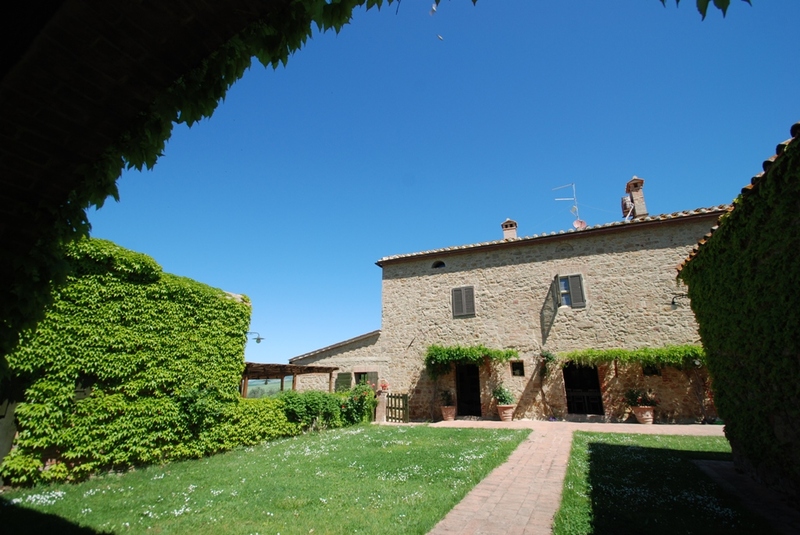 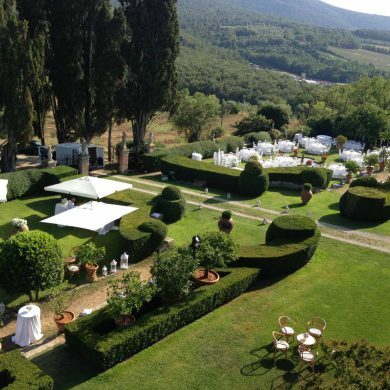 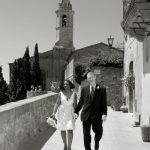 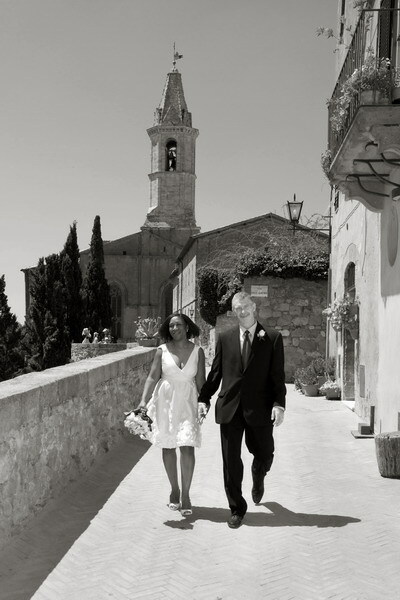 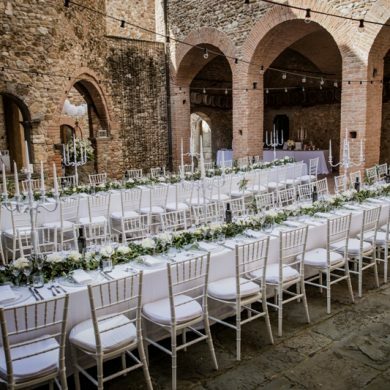 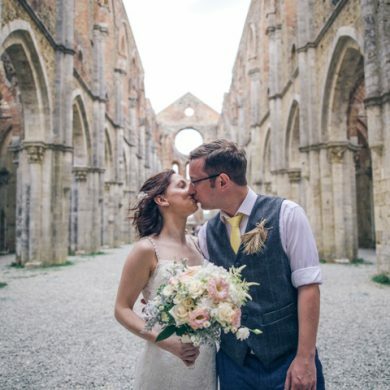 The civil wedding can be organised in the beautiful town hall of Pienza (6 km away) or in Montepulciano (11 km). 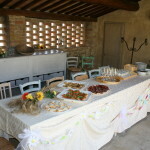 A blessing can also be organised in the garden of the villa. 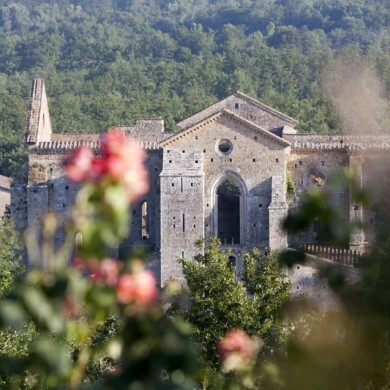 There is also a pretty Catholic church in nearby Asciano. 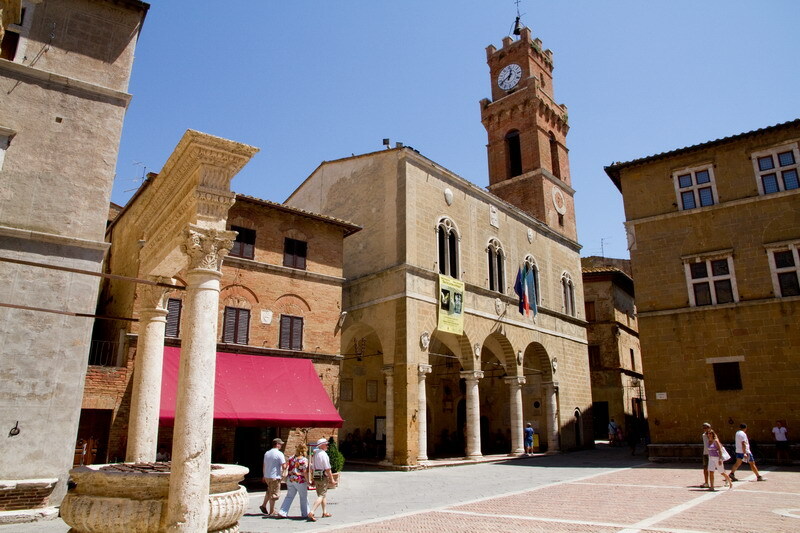 For shops and restaurants Pienza 6km, Montichiello 4km. 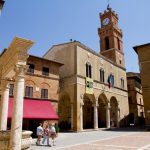 Other town Montepulciano 11 km, Bagno Vignoni 8 km, Montalcino 25 km. 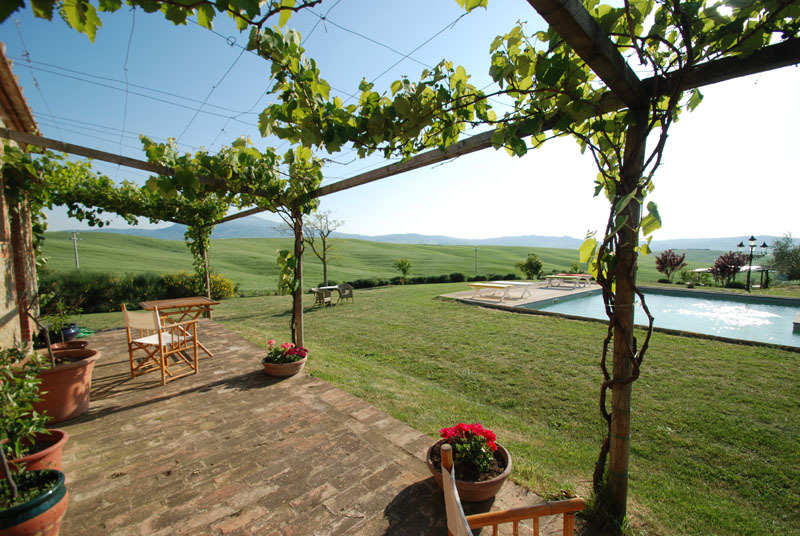 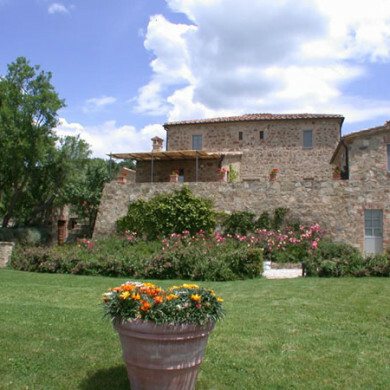 Ideal also to explore Umbria.